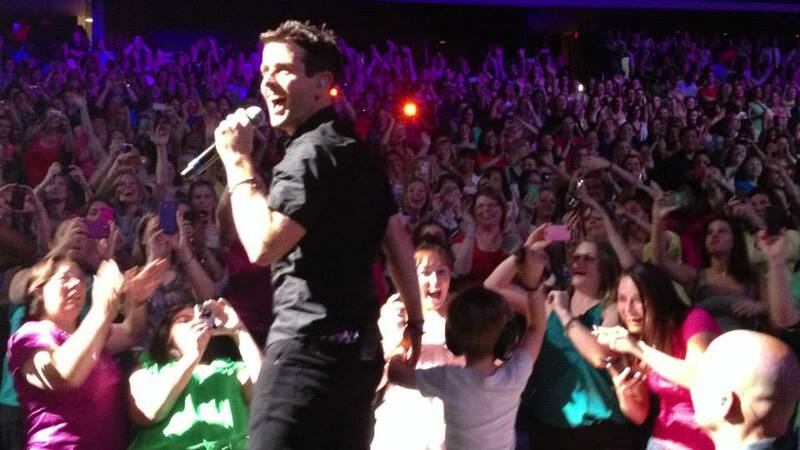 The NKOTB Package Tour in Washington, DC was great. It was my hometown show, I hung out with Boyz II Men and met Jordan again! I was a full 12 hours. I left my house at 2:30pm and was home by 2:30am. We drove into DC and had a pre-concert meal of Guinness and bacon cheeseburger at the Green Turtle, which is attached to the Verizon Center. 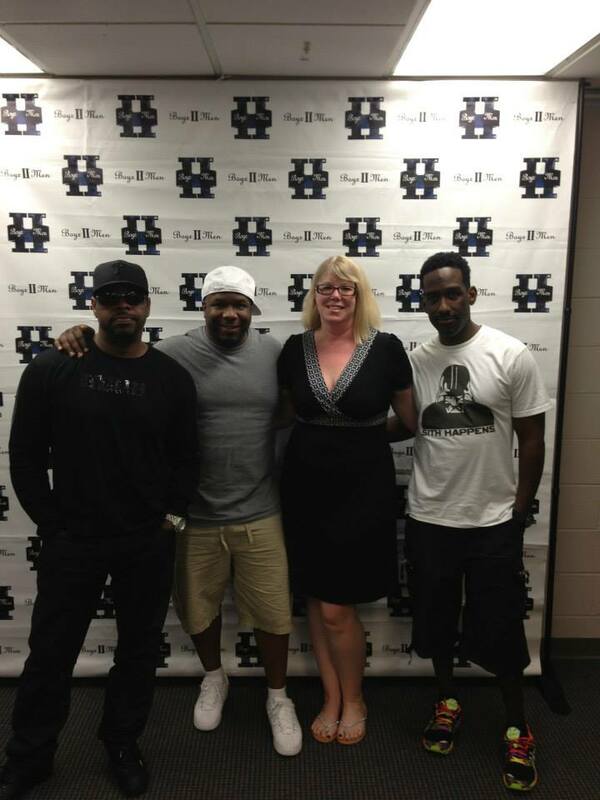 I had won a free Meet and Greet with Boyz II Men. 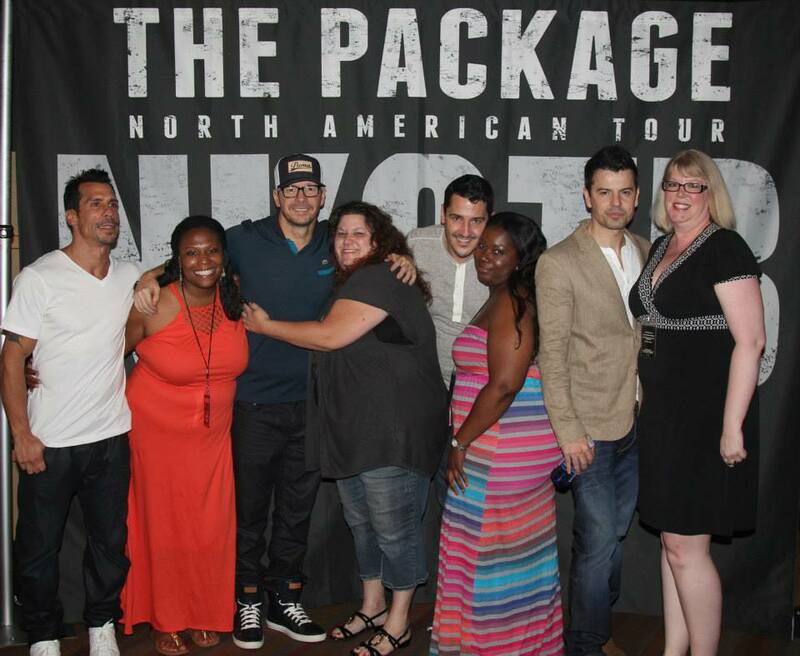 It was SO much better than the Meet and Greet with NKOTB. The Boyz II Men Meet and Greet lasted an hour. We all sat around in chairs in a circle and just talked. It was a Q & A with the guys sitting with us. They were hysterical, especially Wanya. They were telling stories about how they originally thought about NKOTB. How only two of them can sing, but they put on an amazingly entertaining show. When NKOTB started “Block Party,” Boyz II Men were impressed, surprised and digging the beat. After the Q & A, we got our pictures taken with Boyz II Men – and we were allowed to use our own cameras/phones (unlike with NKOTB). Wanya said ‘Hello Lovely’ when he hugged me before our pic. sigh! I was in my seat by 7pm and the furthest away I had been but still close. The Verizon Center was a much bigger arena then Mohegan Sun – there were seats behind the stage. Boyz II Men opened at 7:30 and played a half hour. 98 Degrees immediately followed, and I went to the concessions. NKOTB came on at 9pm and played until 11pm. This show was much louder and hotter than the three shows I saw at Mohegan Sun. NKOTB sang “I’ll Be There,” which I love from the “Step by Step” days in 1990. Joey brought Griffin on stage for “Tonight” then ran right in front of my section. Jordan’s rendition of Prince’s “Kiss” was sexier than ever! We were in the After Party by 11:30pm. It wasn’t a meet and greet like in Mohegan Sun when we got to walk down the line and hug each New Kid. This was more of a hurried pic, but I didn’t care. I just ran straight to Jordan. We put our arms around each other and posed. 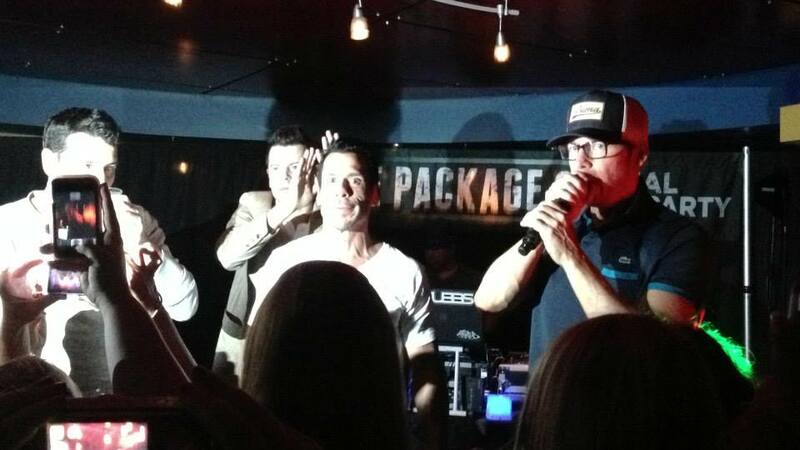 After the pics, Jordan, Jon, Danny and Donnie were all on the dance floor taking pictures with everyone. Then we all sang “Mickey” with the guys names and then sang “Sweet Caroline” to Jon. Donnie and Danny sang along with “Crash” and “ReMix.” As I was leaving, Jordan was walking back into the party. I waved and he waved back then ducked his head. Click here to see all of my photos from the Package Tour in DC. Check back next week as I relive the MixTape Festival 2013.